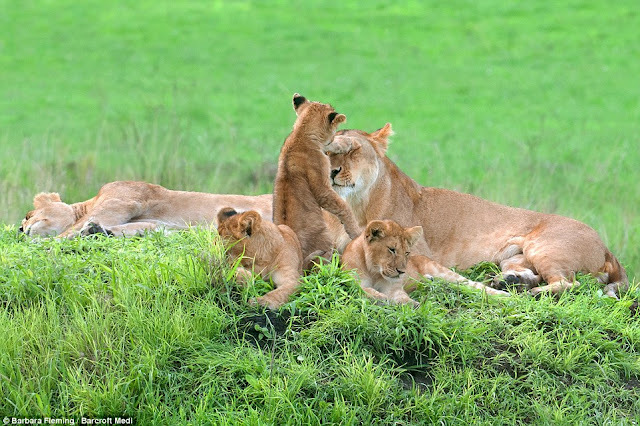 White Wolf : Once in a lifetime photos show a lion family posing for a photographer. Once in a lifetime photos show a lion family posing for a photographer. Getting everyone ready for a family portrait is often a struggle - especially if there are eight children to deal with. 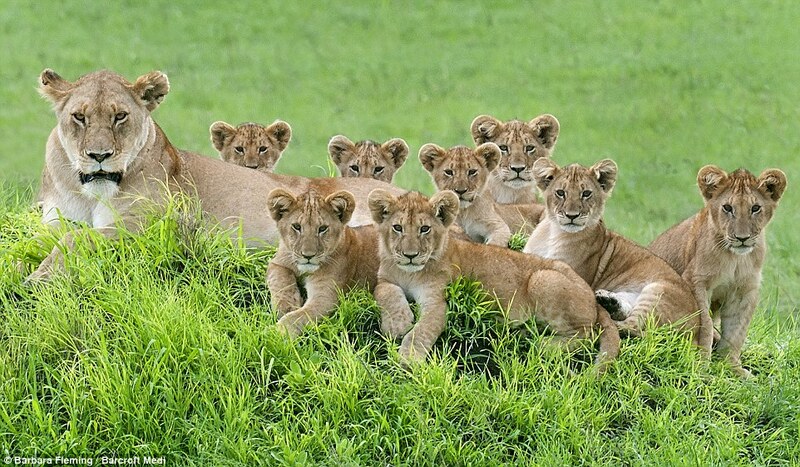 But one pride of lions had no such problem as they lined up for a picture worthy of any family album at an African national park. 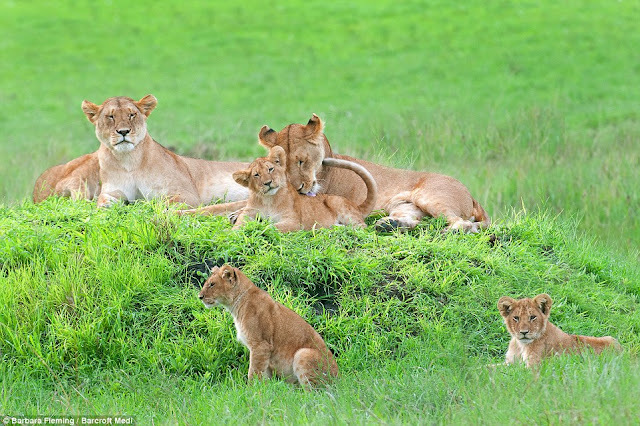 The spectacular images show three female lionesses and their eight cubs resting in the Serengeti Loliondo Conservation in Tanzania and were taken this month. 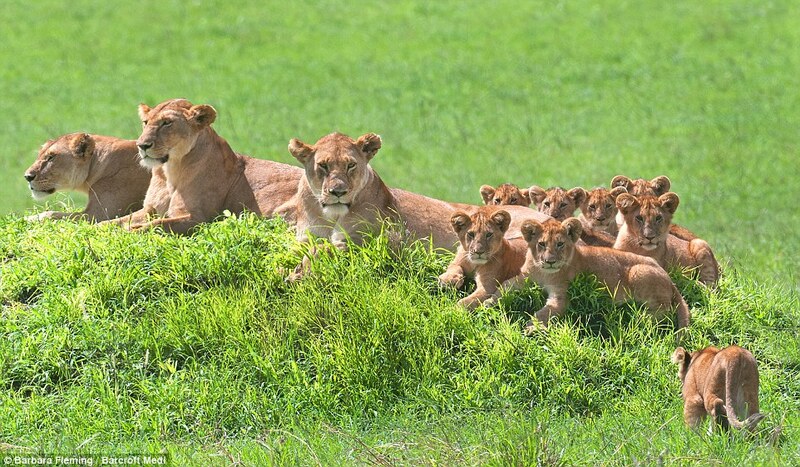 The photographer was able to capture the once in a lifetime moment as a lioness and eight cubs stare directly into the lens of her camera. 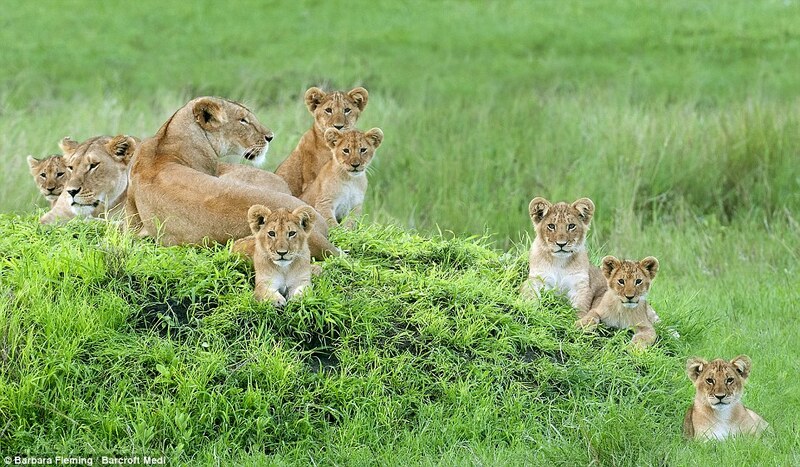 Since the 1960s, the world population of lions has dropped by a staggering 70 per cent, due largely to habitat loss and encroachment by humans. 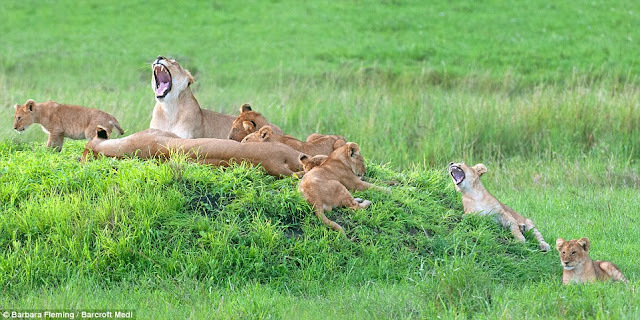 The Serengeti national park, home to the lions, extends to roughly 12,000 square miles. Serengeti is derived from the Maasai language and means 'Endless Plains'. 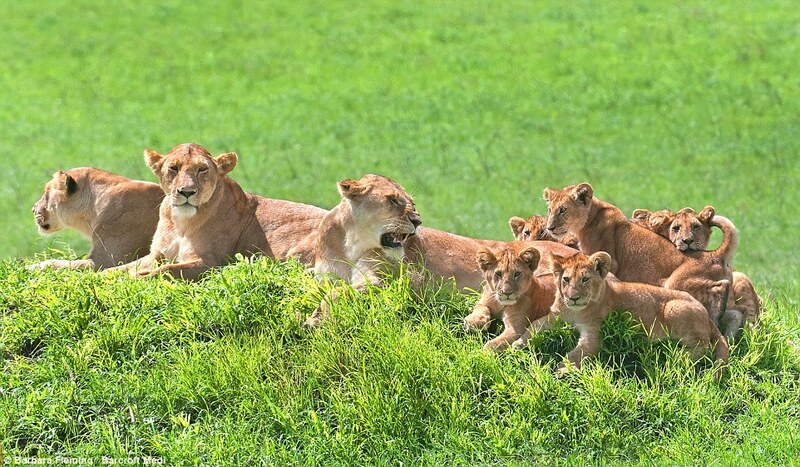 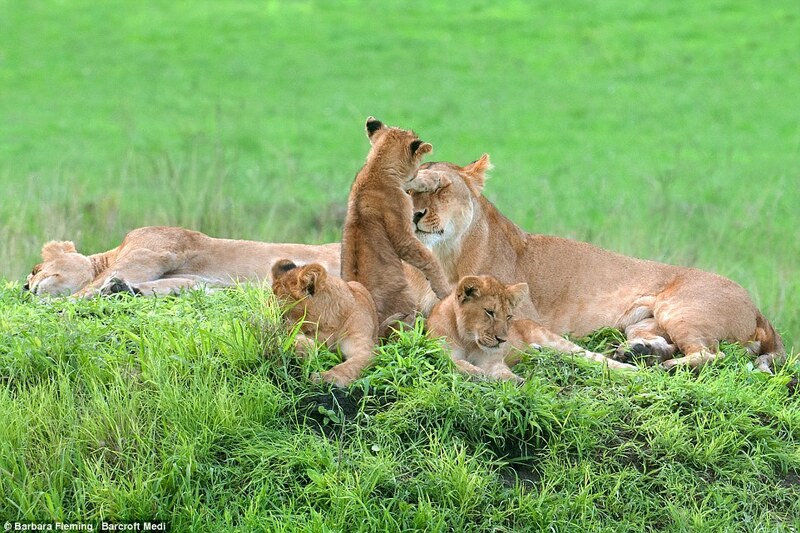 Responses to "Once in a lifetime photos show a lion family posing for a photographer."